Continue reading to find out more about the 2019 Audi RS8. 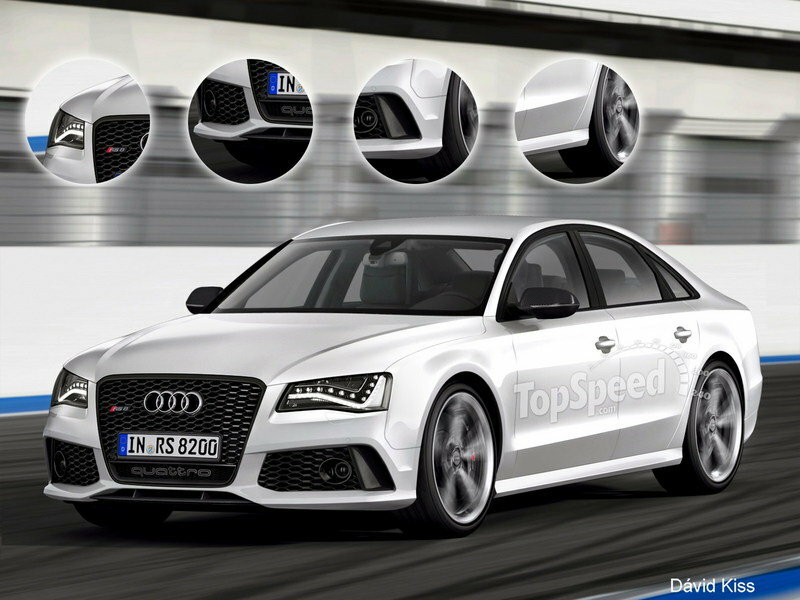 The RS8 will make use of the A8's new sleek and elegant looks, but will get more aggressive front and rear fascias. The styling of the RS8 is obviously a mystery at this point, but it’s safe to assume that the high-performance sedan will sport most of the familiar styling cues seen on other RS-branded models. As seen in our rendering, the RS8 will make use of the A8’s new sleek and elegant looks, but will get more aggressive front and rear fascias. Up front, the engine hood, headlamps, and grille will be the only features that will carry over from the standard model, but at least two of them will get certain revisions. The grille will ditch the horizontal slats in favor of a honeycomb mesh with an "RS8" badge, while the headlamps will get black vents at their outer edges. The bumper will be redesigned altogether for a sportier stance. The bumper will be redesigned altogether for a sportier stance. The side vents will grow in size quite noticeably and, much like the main grille, will get a honeycomb mesh. The thin opening under the main grille will become trapezoidal and will be backed by a splitter-type element. The wing inserts in the bumper will be made from carbon-fiber. Not much will change on the sides. 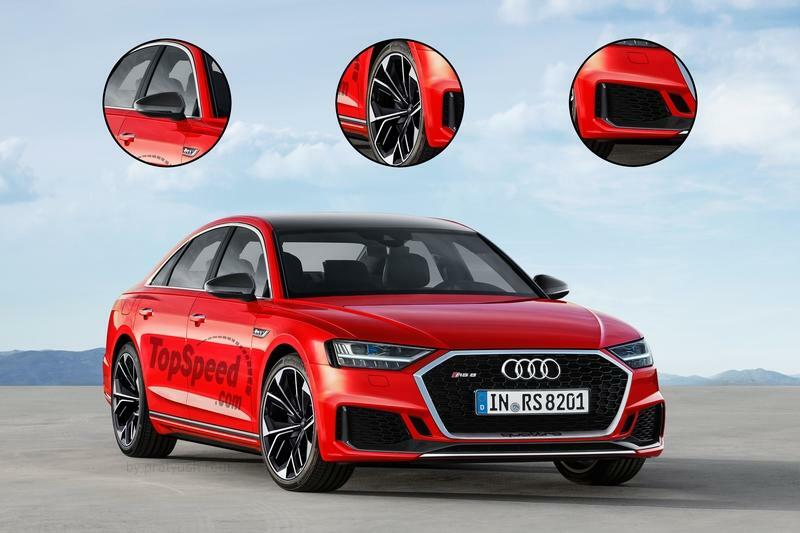 However, Audi will probably add a small vents with "RS8" lettering on the front fenders, black trim above the slightly revised side skirts, and the already familiar, RS-style, carbon-fiber mirror caps. A new wheel design will be introduced specifically for the RS8. We’re thinking a double-five-spoke layout finished in black chrome. As always, Audi will use a lighter alloy and low-profile, performance-oriented tires. 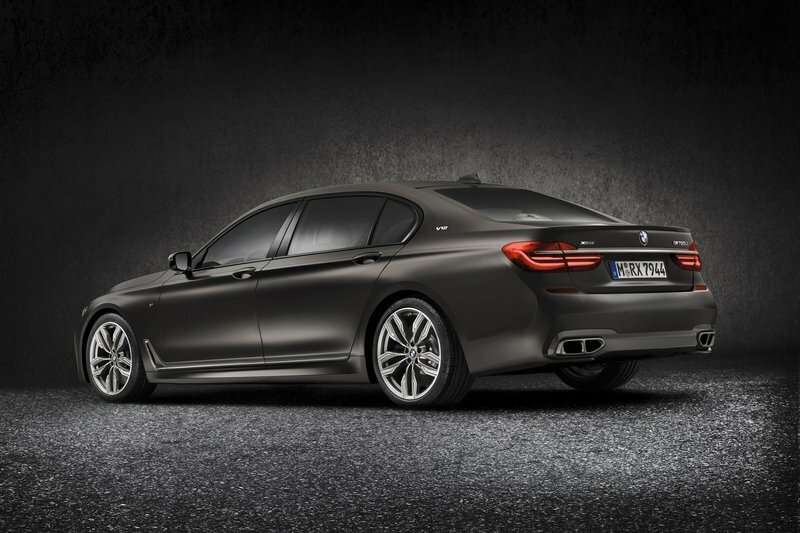 The sedan will probably gain a carbon-fiber spoiler for enhanced aerodynamics. The rear fascia won’t change much, which is a good thing if you like the A8’s new and sleek taillights with a thin light bar across the upper trunk lid. However, the sedan will probably gain a carbon-fiber spoiler for enhanced aerodynamics and a sporty diffuser, likely with carbon elements too. This device will be flanked by a quad-exhaust layout. Also look for the sedan to get a couple of RS-specific paints and a ton of extra options. Note: Audi A8 interior shown here. The RS8 will remain similar to the A8, but Audi will add a few sportier touches. Audi changed quite a few inside the A8, which is a terrific thing. The previous model was getting a bit long in the tooth and the dashboard design seemed rather old compared to those in the Mercedes-Benz S-Class and BMW 7 Series, so it had to go. And it did, with Audi adopting a version of its much newer continuous air vent design. Although not identical to dash design that debuted in the Q7, the A8’s instrument panel is equally simplistic and clutter-free. The horizontal lines give the cabin a wide look, while the smooth, clean surfaces of the center stack add to the elegant look. The RS8 model will remain similar, but Audi will add a few sportier touches. Some carbon-fiber trim is definitely on the table, as is a flat-bottom steering wheel. Both the instrument cluster and the infotainment display should get a bespoke design. 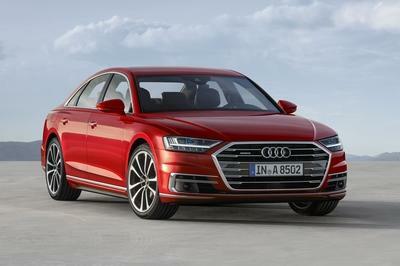 The comfy seat in the A8 will be replaced by sportier, bolstered unit for optimum laterial support. However, don’t expect light colors as seen in the standard model, as Audi usually opts for darker colors — black in most cases — for its RS vehicles. Which is a shame really, but hopefully the Germans will offer a few lighter options, or at least some contrasting red inserts. The tech package should be identical to the standard model. The tech package should be identical to the standard model and include Audi’s latest infotainment system with Apple CarPlay and Android Auto and the new AI traffic jam pilot, which works like a semi-autonomous system in heavy and slow-moving traffic up to a speed of 37 mph. It also has a remote parking system through which the driver uses a smartphone app to monitor and park the car via the 360-degree camera. 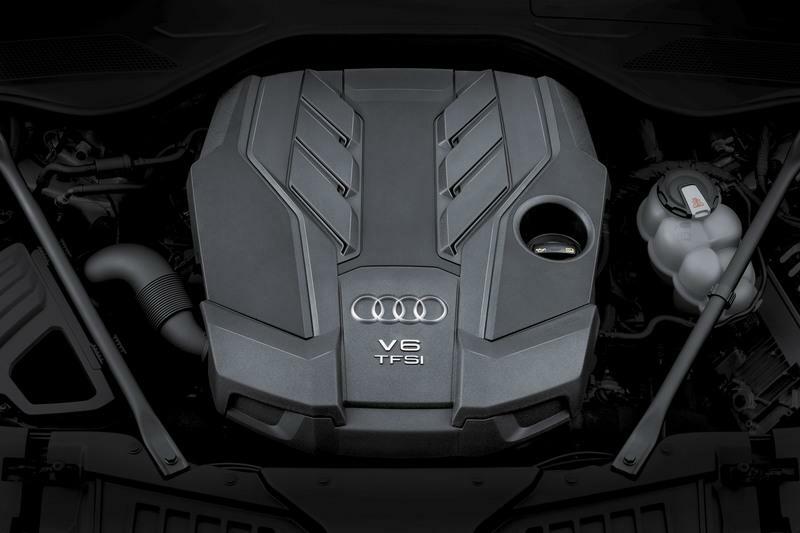 Engine from 2018 Audi A8 shown here. Rated at 600 horsepower and 664 pound-feet in the Bentayga, the twin-turbo W-12 is definitely capable of delivering well in excess of 650 horsepower. There’s no word as to what will motivate the upcoming RS8, but Audi will have big shoes to fill. 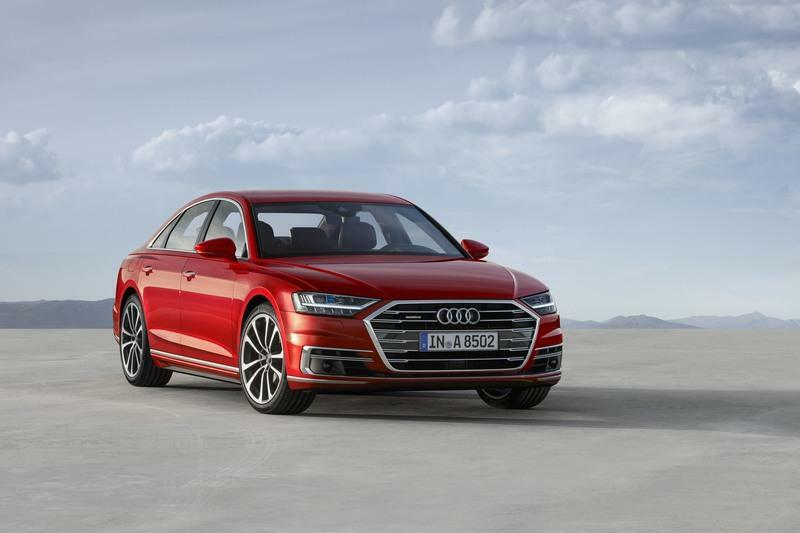 While the S8 was discontinued in 2015 with 520 horsepower and 481 pound-feet of torque, the beefed-up S8 Plus that replaced it arrived with a revised twin-turbo, 4.0-liter V-8 rated at a whopping 605 horsepower and 516 pound-feet. So it’s pretty obvious that the RS8 needs to be more powerful than that. 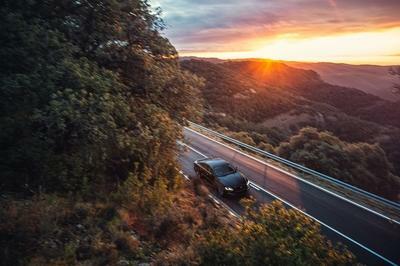 The 4.0-liter V-8 was upgraded for the new A8 and cranks out a solid 480 horsepower, but it remains to be seen whether this engine can be tweaked to deliver in excess of 620 horses. On the other hand, the A8 also comes with the still fresh 6.0-liter W-12 that made its debut in the Bentley Bentayga and it’s a pretty powerful engine. Rated at 600 horsepower and 664 pound-feet in the SUV, the twin-turbo W-12 is definitely capable of delivering well in excess of 650 horsepower. Performance-wise, expect it to hit 60 mph in 3.8 seconds or less. It probably won’t be this powerful, but Audi will aim for at least 620 horses, which should be enough to compete against the Mercedes-AMG S63, rated at 603 horsepower and 664 pound-feet of torque, and the BMW M760Li and its 600 horsepower and 590 pound-feet of twist. 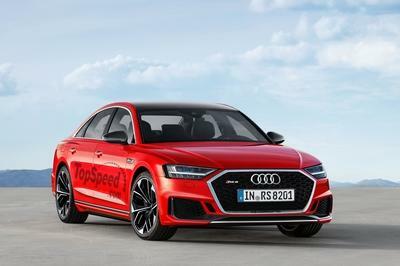 And who knows, maybe Audi will also offer an RS8 Plus with at least 650 horses, just enough for the Mercedes-AMG S65 and the upcoming BMW M7. The W-12 engine will most likely mate to an automatic transmission, as well as Audi’s already familiar Quattro all-wheel-drive system. Performance-wise, expect it to hit 60 mph in 3.8 seconds or less, to go with a top speed of 155 mph standard and around 190 mph optionally. It’s still early to talk about prices here, but expect the RS8 to cost significantly more than the outgoing S8 Plus, which retails from $114,900. If competing prices are any indication — the Mercedes-AMG S63, for instance, retails from $144,700 — the upcoming RS8 could fetch at least $150,000 before options in the United States. The AMG-tuned Mercedes S-Class is the indisputable leader of the high-performance, luxury full-size market, but that’s mainly because there aren’t any proper competitors to choose from. Regarded as one of the most luxurious and advanced full-size sedans you can buy, the S-Class turns really aggressive in AMG S63 guise. Although not particularly menacing on the outside, it comes with a ton of extra features on the inside and a beefed-up drivetrain that makes it as quick as full-fledged sports car. For 2018, Mercedes dropped the 5.5-liter V-8 in favor of a newer, twin-turbo, 4.0-liter V-8 that cranks out a whopping 603 horsepower and 664 pound-feet of torque. 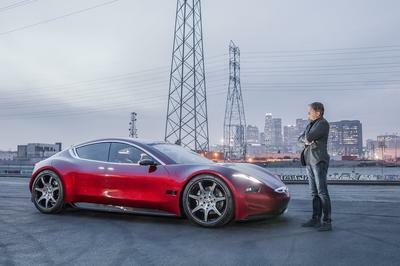 Charging from 0 to 60 mph takes 3.4 seconds, an incredible sprint for a car this big and heavy. Pricing starts from $144,700, and there’s a big chance that the AMG will be a bit more affordable than the upcoming Audi RS8. If you want more oomph, you can go with the AMG S65, which uses a 6.0-liter V-12 rated at 621 horsepower and 738 pound-feet of twist. 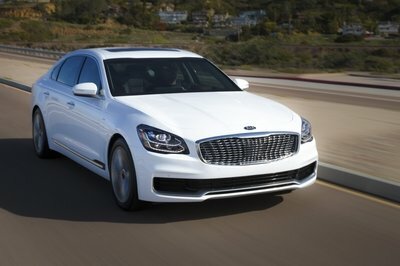 But despite being more powerful, the S65 is actually slower, hitting 60 mph in 4.2 seconds. It’s also significantly more expensive, coming in at $226,900. 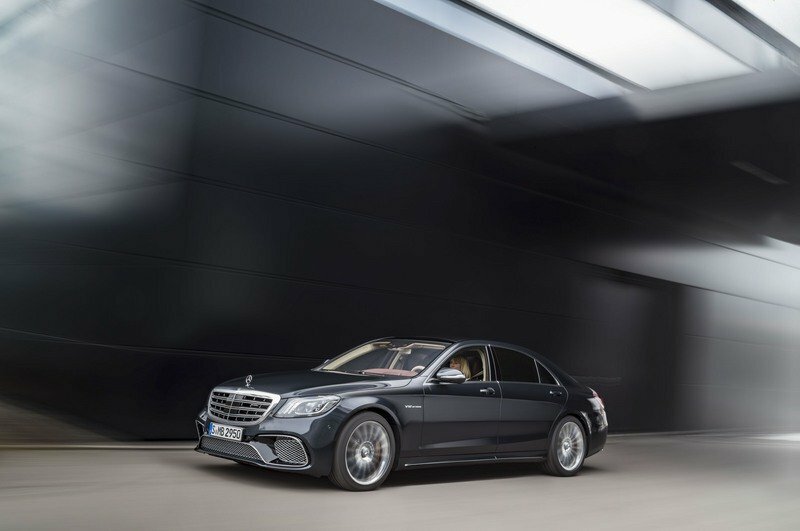 Read our full review of the Mercedes-AMG S63. In the absence of a proper M7. the M760i is the sportiest version of the 7 Series you can buy right now. Based on the latest version of the full-size sedan, it benefits from the updated styling language, a host of M-specific body upgrades, and a fresh interior with state-of-the-art tech. Highlights include top-shelf wood, high-sheen metal, soft leather, an iDrive 5.0 infotainment system, a large touchscreen with ConnectedDrive, and "M" logos. Under the hood, this M wannabe hides a massive 6.6-liter V-12 that send 600 horsepower and 590 pound-feet of twist to all four wheels. 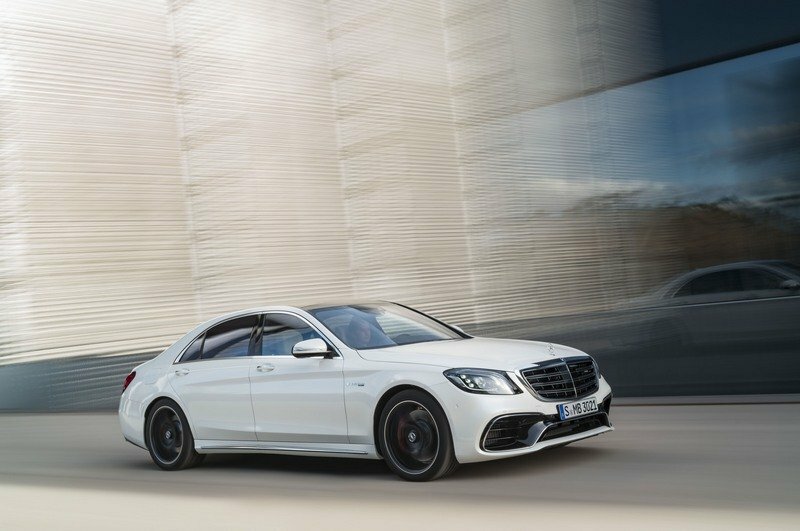 The sprint to 60 mph comes in 3.9 seconds, a half-second slower than the AMG S63, while top speed is rated at 190 mph with the limited removed. Pricing is set at $156,700, more than $10K more expensive than the S63. Read our full review of the BMW M760Li. The M7 is not yet official, but rumors are hot and a couple of prototypes spotted on public roads suggest that BMW is already working on this vehicle. 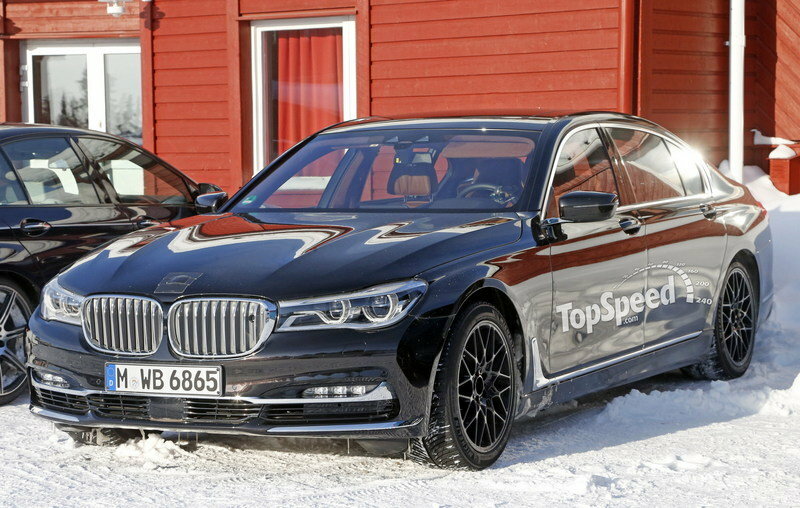 While it might not be significantly more aggressive looking than the already exciting M760Li, the M7 should get a notably more powerful 6.6-liter V-12, most likely tuned to around 640 horsepower and at least 610 pound-feet of torque. Coupled with an eight-speed automatic transmission and xDrive all-wheel-drive, the M7 should be able to hit 60 mph from a standing start in 3.7 seconds or less. A revised chassis with bespoke setting and weight-saving measures should also make it more suitable for track performance, although it’s not the kind of vehicle you’d normally hoon on the Nurburgring. Expect pricing for this sedan to start from at least $150,000. 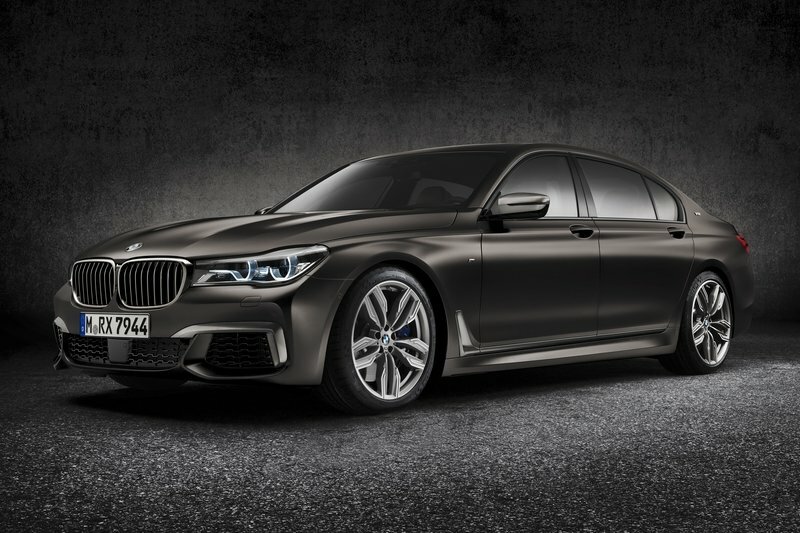 Read our speculative review of the BMW M7. While the RS8 might not have been a necessity until a few years ago, it’s the kind of vehicle that Audi needs to build as soon as possible. The high-performance luxury market is growing and both Mercedes-Benz and BMW benefit from the lack of proper competitors. 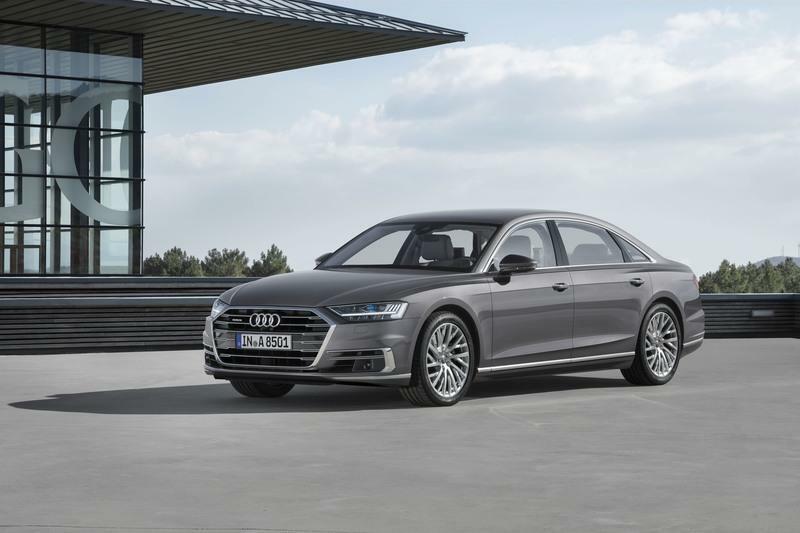 The new A8 has tremendous potential and an RS version would only enhance the sedan’s presence on the market. If Audi knows what’s good for it, the RS8 should arrive no later than 2018.